Let’s face it. Conventions and workshops are great for networking with those in your field, pitching project ideas, promoting yourself, getting immersed in your craft etc etc. But also, cons are this magical alternate reality in which your scattered tribe, who you usually connect with only via the Internets, will all converge in one geographic location and have a good time! Following the buzz via twitter may be therapeutic or may just induce more booze drinking, but also keep your eyes open for virtual cons* such as DragonCant, WriteOnCon, and BitterCon. Lots of people aren’t able to be in attendance at *the event* but that doesn’t keep them from having the conversation. Use a google hangout (or other such platform) to organize a virtual get together and/or workshop. ** I know of illustrators and writers who do this on a weekly basis to catch up and socialize as well as to work on their craft. Look for local events and conventions that can get you rubbing elbows with humans. This weekend in my home town I can enjoy the Festival of Books and the Wild Wild West Steampunk convention. My town also hosts a modest but energetic comic convention, anime convention, and weekly Drink and Draw event. Plenty of things to get me out of the house. Organize your own retreat with a member of your tribe where you can select a date and a location that works better for your budget and life needs. A cheap plane ticket and the comfy couch of a friend has more than once provided me with a rejuvenating creative escape at a fraction of the cost of going to a convention. But seriously, when all your friends are at a convention and you are not, sitting at home alone with a drink is also perfectly acceptable. And for that occasion I turned to our resident booze nerd, Andy Romine. “Nothing says drinking alone like whiskey,” he opines, and recommends…. Shake all ingredients, strain into a chilled glass and garnish. Enjoy. So there you go. Some tips and a cocktail recipe to get you through whatever life circumstance happened to keep you from going to that cool thing that everyone is going too. Have any survival tricks or cocktail recipes of your own? Please share! 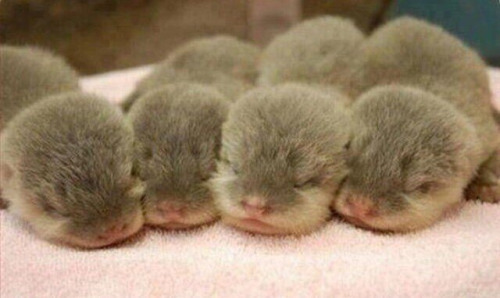 And now some baby otters. To cheer you up. ** Hugs and kisses forever to Wendy Wagner for sharing that online writer retreat. *** Regarding the Whiskey Sour, Andy notes “forgo the egg white… this is not a drink you want to fuss with.” I, however, am intrigued by attempting put an egg white in a drink, so I may fuss just a bit. Love this post! During last year’s WorldCon, a writer friend organized a write-in (“pity party”) at a local coffeeshop for non-con-goers. It kept me from getting mopey over my Twitter feed, and it was a great reminder that community doesn’t just mean attending the big fancy cons. While it may seem like everyone is at the BFC, that’s not really true.